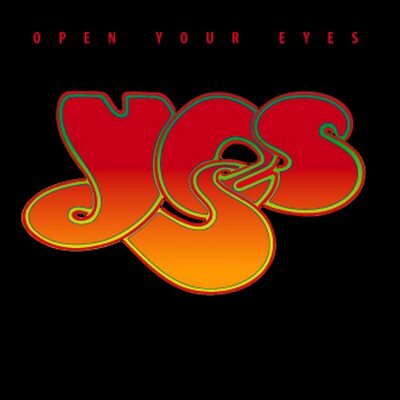 I may be one of the few Yes fans who feels this album is an improvement over Talk, Big Generator, and probably even Union. Sure, the arrangements are still well into pop territory, and the lyrics are pretty shallow for the most part. But at least Trevor Rabin is gone and Steve Howe is back. I guess the band felt like they had to throw Billy Sherwood a bone and add him to the lineup too, which gives the album a little heavier guitar feel since Sherwood really can't compare to Rick Wakeman or even Tony Kaye on keyboards. And I'm not talking about his talent specifically, but more his style, which is pure pop, something Wakeman never attempted and Kaye never perfected (to his credit). By the late 90's I really wasn't paying attention to Yes anymore, and judging from their album sales not too many other people were either. Other than a casual interest in Keys to Ascension², I hadn't really listened to any of the band's new stuff in quite a while (I picked Open Your Eyes up only a couple of years ago). Maybe that helped me to evaluate it in the context of the band's history instead of the context of the mid 90's. I'm quite sure I would have hated this album ten years ago, especially after I read that this started out as a Wakeman solo album, very few of which I can spend much time listening to. Anyway, as I said Howe is back, and the guitar work shows definite signs of improvement. I really liked Rabin live back then, but I have to say that he was always leaning much closer to pop and radio-friendly rock in the studio than I ever felt was healthy for this band. The album still suffers from a heavy residue of pop-sensibilities though, so few of these songs will ever rank among my favorites. Still, it's not all that bad of an album. The opening "New State of Mind" sets an upbeat tone that lasts the entire album, and probably makes the music more palatable even when it sometimes borders on boring. Howe adds a bit of mandolin here and elsewhere, an instrument that for some reason always makes me smile. The three or four-part harmonies are pleasant enough, but overall the arrangement seems to be a bit aimless. The title track sounds remarkably like an Asia tune, and the emphasis on Anderson's Sybil-like two-register vocals is surprisingly well done. This is a tune that would have been considered a very good effort by most bands of this era, but for Yes it comes off as decent but a bit uninspired. You have to like any track that includes the phrase "cosmic tapestry" in its lyrics and was written after 1975. "Universal Garden" opens with some very nice acoustic guitar and spacey keyboards from Howe and Sherwood, including some synthesized strings that set a nostalgic and mellow tone. In fact, a good portion of this album seems to suggest Anderson (and probably Squire) are coming out of a tunnel (represented by the 80's and The Trevor Rabin Experiment®©T), and are at least attempting to rediscover themselves. They just don't quite get there. Howe has some very decent guitar work here and throughout the album, but the production has several minor gaffs that the band seems to be in too much of a hurry to correct. This is one of those tracks. On "No Way We Can Lose" there are several more of these production glitches, with several spots sounding like overdubbed keyboards and guitars were just 'dropped in' in post-production. Otherwise this song is kind of a hippy-days throwback, with more pleasantly cheesy lyrics like "we will free ourselves from the chains that bind" and "if we can all find a way to resolve our differences, there's no way we can lose". Well, we can only hope at least..
Howe gets a bit funky on "Fortune Seller" with a sound I really like, but admit would have been more appropriate for one of his solo albums. I've played this song over and over trying to figure out what it is I really don't like about it, and have concluded it's the vocals. Anderson's voice is heavily echoed here, and it's really a distraction from what would probably have been a much better song if it had been an instrumental. "Man in the Moon" sounds like some kind of weird goth nursery rhyme written for a Tim Burton film. Just a goofy tune. The mandolin makes a return on "Wonderlove". The lyrics are again pretty cheesy; some catchy guitar although not all that complex or challenging; an awkward thumpy drumbeat that sounds like something an art school student would have done... by God, this sounds like the Police! Go figure. I've actually heard "From the Balcony" somewhere before - a movie soundtrack or a video game or maybe a Friends rerun, not really sure. Howe goes acoustic again and Anderson's voice is only slightly echoed this time for a really mellow, 'miss-my-gal' (or some sort of significant other) kind of tune. Pretty average stuff. Ha-ha! Anderson dredges up an old outtake duet with George Harrison from his Cloud Nine album with "Love Shine"! Not really, but it sure sounds like that. This is actually not too bad of a song, but again it leans very heavily into pop territory, and there are several mixing glitches here that are a bit distracting. "Somehow, Someday" sounds like Ye Olde English Drinking Song dressed up with the kind of slightly pompous treatment that only Squire and Anderson can pull off. Not much more to say about this one. I don't know what the band was going for with "The Solution", but it comes off as just a bunch of leftover cutting-room floor scraps all stuck together with moody nature music backing it all up. Strange, but I have managed to put myself to sleep a couple of nights playing the last twenty minutes of this thing. All in all not a bad album, certainly shows a greater display of pure talent than Talk or Big Generator. But not very memorable either. In 1997 I would have easily given this thing one star and considered myself generous, but today I'll go for 2.6 considering Anderson's voice is quite strong, I really like Howe's guitar work when he isn't doing solo albums, and the nostalgic and rather upbeat overall tone makes it difficult to be too hard on the guys. Not exactly a classic, but not complete crap either. A nice completion piece.